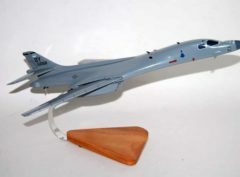 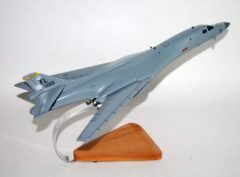 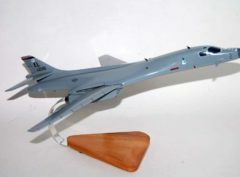 Fly this B-1 Lancer model from a mantel or desk as you recollect this awesome bomber. 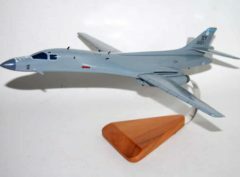 Each piece is carved from wood, individually made, and handpainted to provide a piece you’ll love. 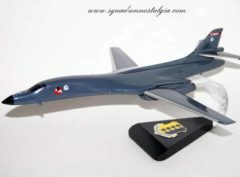 The Rockwell B-1 Lancer is a four-engine supersonic variable-sweep wing, jet-powered heavy strategic bomber used by the United States Air Force (USAF).